An updated digital version of Preach My Gospel reflects recent direction from Church leaders and changes to the missionary program in the 14 years since its release. Preach My Gospel has changed little since it was first published in 2004. Updates in this new digital version reflect recent direction from Church leaders and changes to the missionary program in the 14 years since its release. Examples include reducing the number of key indicators, replacing references to home and visiting teaching with ministering brothers and sisters, and aligning with current family history policy and products. These updates are being translated into other languages, and priesthood leaders will be notified when revised electronic and print versions are available in their local language. Members and missionaries should continue to use the current versions of Preach My Gospel until the updated editions become available. Preach My Gospel is one of the most important resources for helping missionaries to find, teach, and baptize, and the lessons and principles contained in it will help people become disciples of the Lord Jesus Christ. Church leaders have long encouraged members to become familiar with Preach My Gospel so that they can help prepare others to learn more about the gospel. 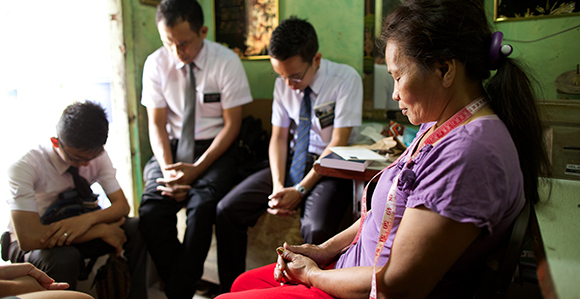 Read articles on LDS365 about Preach My Gospel.